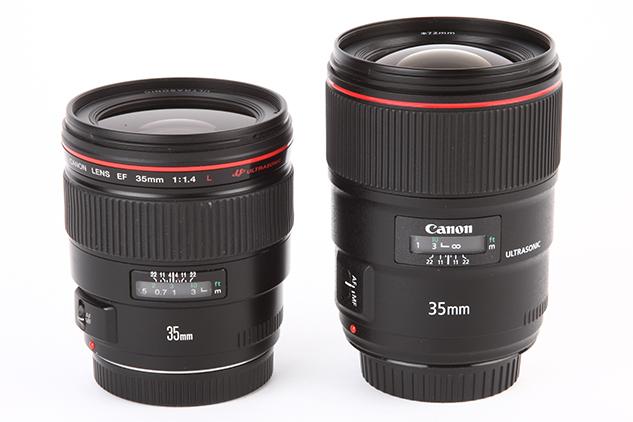 As already briefly mentioned, the EF 35mm f/1.4L II USM is larger and a heavier lens than its predecessor. The diameter is only fractionally larger (1.4mm to be precise), and the difference in length is obvious when it’s viewed side-by-side with the original. Measuring 18.4mm longer, this has allowed Canon to redesign the manual focus ring and make it almost twice the size of the original. 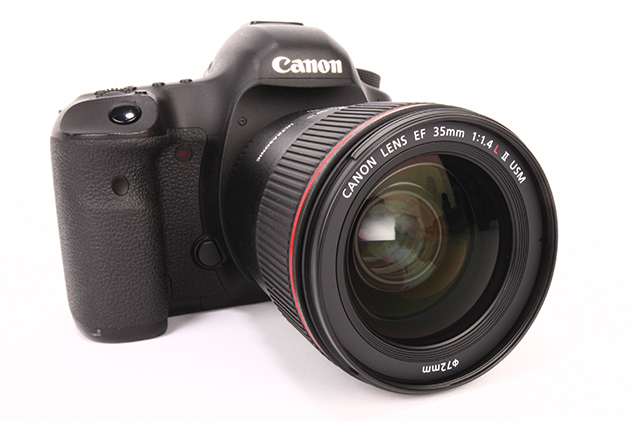 It rotates smoothly and precisely but it is quite heavily weighted, requiring a little more effort to turn it across its focus distance range than our well-used, but still pristine example of the EF 35mm f/1.4L USM. Half a turn of the manual focus ring is all that’s needed to get from one end of the focusing range to the other. There are a few other differences worth mentioning too. Compared to the virtually flat front element on its predecessor, this newer lens has a more bulbous element at the front. The smooth finish to the barrel is replaced by a speckled matt black finish, which portrays a better look on Canon DSLRs and gives it a slightly more premium feel in the hand. Elsewhere, the AF/MF switch is larger, though it doesn’t protrude from the barrel very far. This made it all the more difficult to find from behind the camera when wearing gloves and on the couple of occasions I found myself pulling my eye away from the viewfinder to locate the switch, which is less than ideal. The build quality at the rear has also been enhanced by adding rubber around the perimeter of the mount. This helps to create a weather-resistant seal between the camera and lens and could play a vital role if you’re vulnerable of being caught out in a torrential downpour or sandstorm.